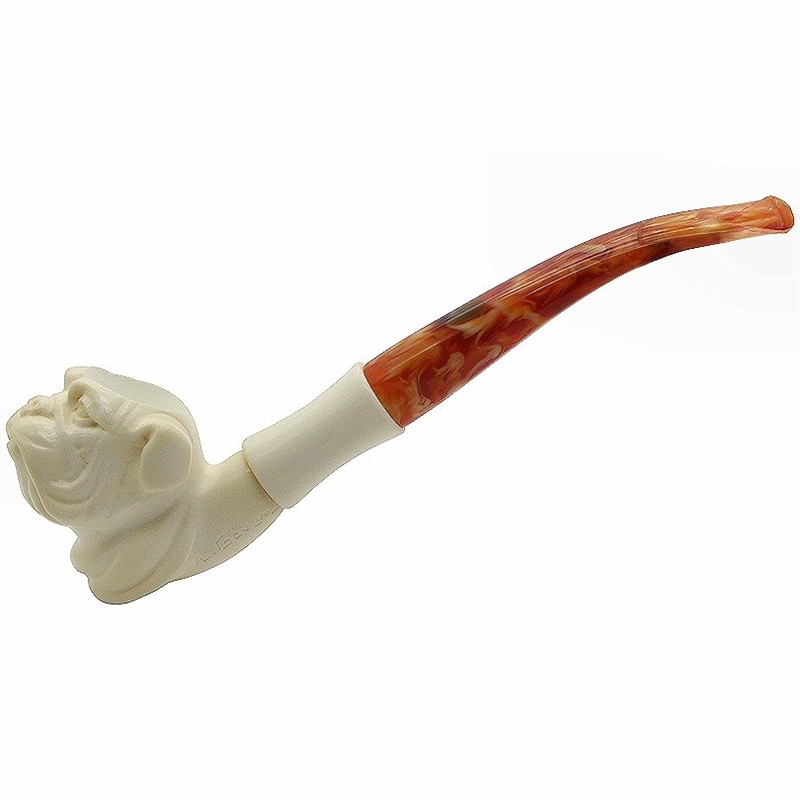 Hand Carved Signed Dog Knurl Meerschaum Pipe - Cute puppy dog eyes look up at you. 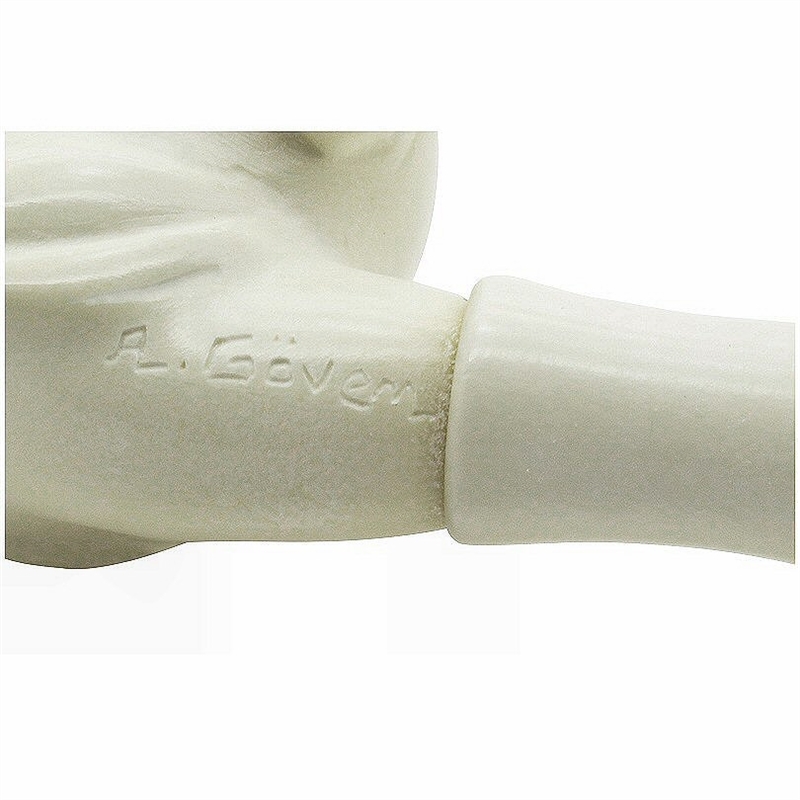 This delightful dog pipe with floppy ears is carved and signed by A. Govem. It has a smooth carved knurl which offers extra length to the slightly bent stem. 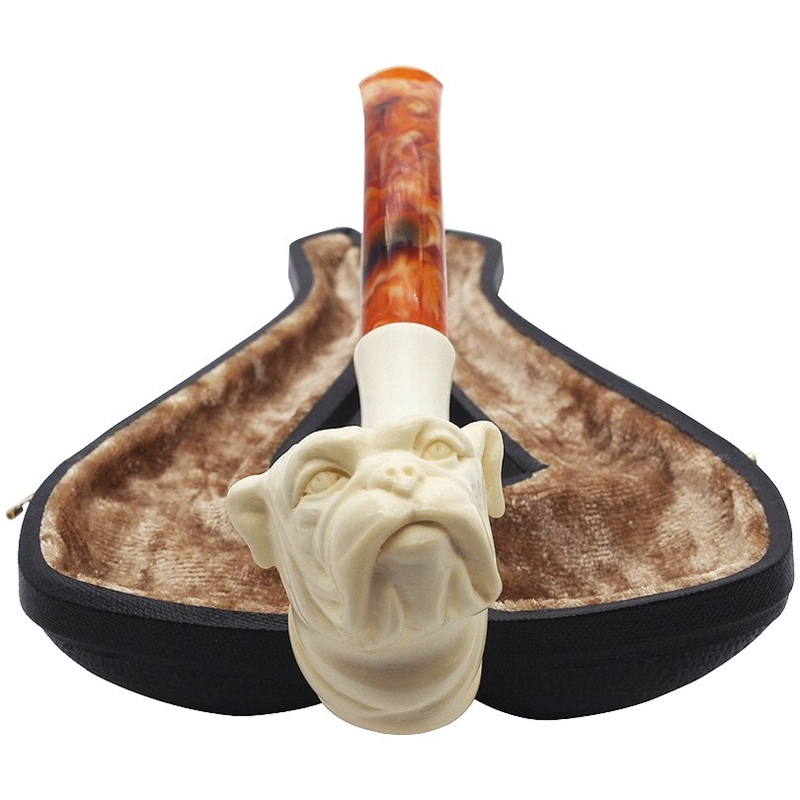 A special find for the dog loving pipe smoker.